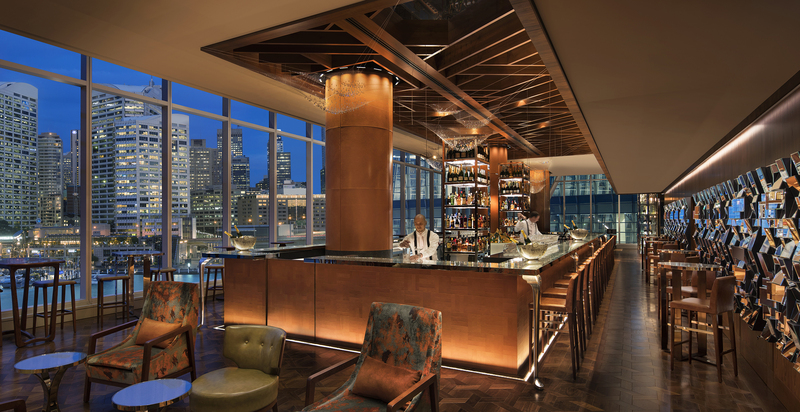 Fancy staying in a five-star hotel? Find them all right here! And if you need us, we’ll be in our box-sized apartment, crying on the floor. 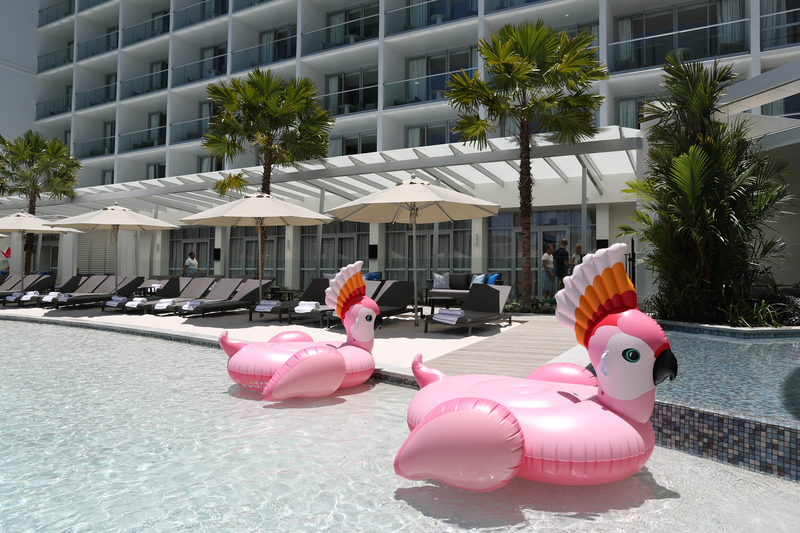 Crystalbrook Collection has officially welcomed their first five-star resort, Riley, to the family with doors opening in Cairns today – Tuesday 6 November 2018. Riley opened its doors today at 10am, with 170 staff on-site to welcome their first guests. Kiwi rugby stars and corporate teams have pulled out all the stops in a test of endurance to raise over FJD $1 million ($758,827) for life-saving child health programmes for young people in Fiji. A total of 100 participants took part in the AccorHotels Race to Survive Fiji last week, a four-day challenge that saw them take on surprise challenges throughout Fiji to raise funds for the work Cure Kids New Zealand’s sister charity Cure Kids Fiji is doing in the country. Competitors from Accor hotels in New Zealand, Australia and Fiji, and partner teams from House of Travel, Flight Centre, Rosie Holidays, JDE and Dark Horse, crossed the finish line at Sofitel Fiji Resort and Spa on Friday night, with hundreds of local school children cheering them on. Funds raised from this year’s event will go towards the work Cure Kids Fiji is achieving in preventing rheumatic heart disease (RHD) and treating pneumonia in Fiji. Fiji has one of the highest rates of RHD in the world with the life-threatening illness affecting 1 in 50 children in Fiji. Cure Kids Fiji, which has partnered with the Fiji Ministry of Health and Medical Service, and health experts in New Zealand, is also working to increase the supply and access of life-saving oxygen for Fijian children with pneumonia and newborn illnesses. Many Fijian health centres rely on rudimentary oxygen cylinders, and this project aims to provide health centres in need with oxygen concentrators that more effectively administer oxygen. Solar-power solutions for health centres vulnerable to power shortages are also being installed. While Race to Survive involved gruelling challenges – from hiking and kayaking to crossing rivers on rafts – contestants also helped renovate Nadarivatu Health Centre and met school kids being tested for RHD at mobile screening clinics, gaining a profound insight into life in Fiji. Former All Blacks Sevens captain DJ Forbes and former Sevens player Tomasi Cama Junior also took part in Race to Survive and spent time with families affected by rheumatic heart disease. RHD is a preventable condition, and this national-level, research-based programme aims to build capacity across all aspects of RHD control and prevention in Fiji. Best practice approaches used in tackling RHD in New Zealand guide the efforts in Fiji. Since launching in 2006, the biennial AccorHotels Race to Survive has seen AccorHotels and its partners raise over $3.5m FJD to support the work of Cure Kids Fiji. 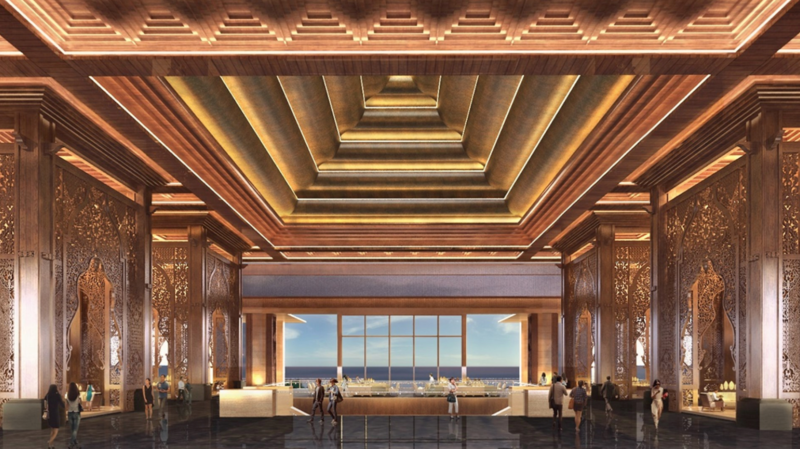 Adding to its growing collection of distinguished properties all around the world, Kempinski is thrilled to unveil the latest addition to its line of five-star hotels with the opening of The Apurva Kempinski Bali in February 2019. This much-anticipated opening marks the first Kempinski resort on the island and its second property in Indonesia. Set amidst the dramatic cliffs and immaculate beaches of Nusa Dua in southern Bali, the hotel features 475 stylish guest rooms, iconic suites and exclusive villas, five dining venues, and a Cigar & Shisha Lounge. Facilities include an ocean-facing spa and fitness centre, a 60-metre swimming pool, a kids’ pool, and a family club. For events, business meetings and weddings, The Apurva Kempinski Bali offers a 1,076 square-metre pillar-free and ocean-view grand ballroom, meeting rooms, The Apurva beachfront wedding chapels, and a 2,200 square-metre ocean-front lawn for exceptional outdoor gatherings and events. Award-winning architect Budiman Hendropurnomo of Denton Corker Marshall and highly acclaimed interior designer Rudy Dodo of Trivium Design Group worked together to create a curated design masterpiece. From the unmistakable characteristics of Balinese architecture, landscape and guiding principles to the Indonesian-inspired interior design aesthetics, the nation’s heritage and meticulous craftsmanship are thoroughly reflected throughout the hotel. Outrigger Resorts is proud to introduce new vegan menu offerings at The Reef Bar & Market Grill and Kani Ka Pila Grille located at the company’s iconic Outrigger Reef Waikiki Beach Resort. 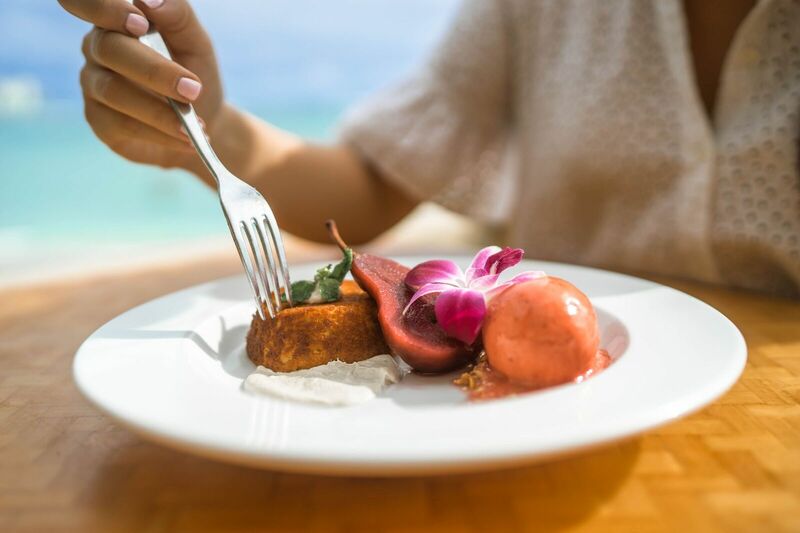 In keeping up with the growing demand for a greater vegan selection, Outrigger’s beachfront and poolside culinary hotspots will provide guests an array of delicious and healthy bites starting this month. “Pairing Hawaii’s thriving locavore movement with the growing demand for more vegan options in the restaurant industry, our expanded menu offerings at The Reef Bar & Market Grill and Kani Ka Pila Grille are sure to please our guests while attracting a wider audience of diners searching for fresh and innovative vegan selections in Waikiki,” said Delia Romano executive sous chef at Outrigger Reef Waikiki Beach Resort. 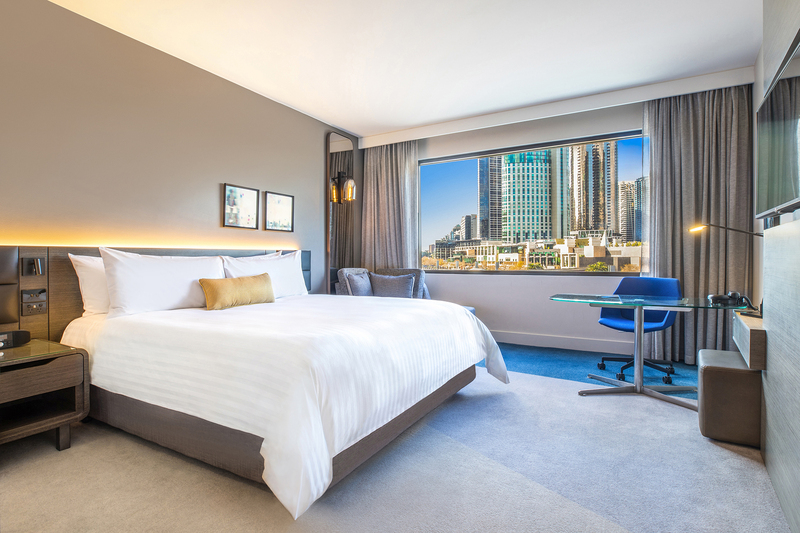 The hotel will support the 2018 Australian Fashion Laureate by supplying 5-star accommodation for individuals travelling from interstate and overseas to be honoured at the gala event. Now in its 10th year, the award ceremony will be held on Tuesday 20 November at The State Theatre, Sydney. Australian style will be the hero as the 2018 IMG Australian Fashion Laureate applauds exceptional talent and creativity within the fashion industry. Each Australian Fashion Laureate award celebrates outstanding accomplishments in categories including Lifetime Achievement, Womenswear, Menswear, Retail, Emerging Designer, Accessories – and for the first time, two new categories for 2018: Model of the Year and Outstanding Editorial. Established by IMG and the NSW Government in 2008, the annual Australian Fashion Laureate event has rapidly become a “who’s-who” of the fashion industry. This year’s nominees include Camilla Franks and Kym Ellery who are nominated for Australian Fashion Laureate Lifetime Achievement Award along with Christine Centenera, Edwina McCann and Luke Sales and Anna Plunkett, from Romance Was Born. Previous recipients of the Australian Fashion Laureate include Akira Isogawa and Collette Dinnigan. Christmas is that time of year when family is important, and visitors to Fiji will feel like it is one big happy family over the festive period, with hotels and resorts giving guests a little extra during the festive season. The Christmas values and fervour remain the same, but the celebrations at the hotels are special, from hand-made Fijian gifts for children, to Fijian warriors and of course, Santa! It’s a full Christmas program at Outrigger Resort and Castaway Island. Get into the Christmas spirit on Christmas Eve with Carols by Candlelight. After Christmas Day breakfast, Santa swaps out his snow sled arriving by water sleigh for some gift giving and the breaking of the gingerbread house. Finish Christmas Day with a Family Christmas Buffet, a Beachfront Feast or an intimate five-course dinner at award-winning Ivi Restaurant. Sister resort, Castaway Island, follows a similar program. The Christmas spirit will be overflowing at Marriot Resort Momi Bay. Enjoy a four-course Christmas Eve dinner at Fish bar with sunset ocean views. On Christmas Day, there will be plenty of choices! After Santa’s special arrival, head to the Lagoon Lounge for a sizzling buffet overlooking the lagoon. Adorned with Christmas decorations and carols, guests will enjoy live cooking stations and traditional festive dishes. For Christmas dinner, head to Goji Kitchen & Bar for a traditional Christmas buffet dinner featuring a spread of seafood and Christmas turkey or wander to Fish Bar for a decadent five-course degustation at Fish Bar. To work it all off, have a fun-filled afternoon at Voi Voi playing sport games, and a variety of great family activities. Christmas Eve will be a spectacular event at the newly opened Six Senses Fiji. Enjoy sunset cocktails at Tovolea Bar followed by an amazing fire show and choir performance. Christmas lunch will be served at Tovolea Restaurant with an afternoon Christmas party. Six Senses’ kids club, Grow with Six Senses, will have a kid’s party with Santa himself! The KaloKalo Cinema will then screen two classic Christmas movies, Home Alone and Love Actually. Boxing Day festivities kick off with a beach BBQ and a game of cricket. Nanuku celebrates the season of giving and creates a wonderful Christmas atmosphere with festive decorations and its annual handcrafted Christmas Trees. This year, the resort will craft two Christmas trees made entirely from coconuts, the Christmas trees will be lighted by children from a local orphanage, Dilkusha Home, which Nanuku has adopted. Guests staying at Kokomo will have an array of Christmas fun to choose from. Take part in the tree lighting ceremony on Christmas Eve Eve (23rd Dec) to officially kick off the festive season. Kids Club turns into Santa’s Workshop where a fun day of craft activities awaits such as making handmade gifts and delicious gingerbread cookies. Get the family together on Christmas Eve at Beach Shack’s lawn for a heart-warming Christmas movie and popcorn. Christmas Day is filled with spirit as guests gather for a delicious breakfast then cruise to neighbouring Christmas Island to meet Santa Clause along with some local children who will spend the day with the resort. Celebrations continue with lively beach activities, outdoor games and a Pacific-inspired sand man competition. Relax on Boxing Day in your villa or join the team for a beach BBQ and live entertainment on West Beach. 12 days before Christmas, VOMO Island Fiji will be treating their guests to some special festive gifts; from Fijian ginger and coconut nougat, homemade Fijian rum soaked raisins and chocolate to VOMO’s homemade Kahlua Eggnog. Kids are kept busy at Santa’s Workshop making Christmas cookies, writing last minute letters to Santa, arts and crafts and enjoying the outdoor cinema. Christmas carols are sung by the VOMO family on Christmas Eve while guests feast at the Rocks Restaurant. During the year, VOMO supports Cure Kids Fiji with fundraising activities. In December, VOMO hosts a big Christmas party on the island for some of the children coping with Rheumatic heart disease and their carers. A fantastic day of games, gifts, feasting on delicious VOMO food and of course a visit from Santa. 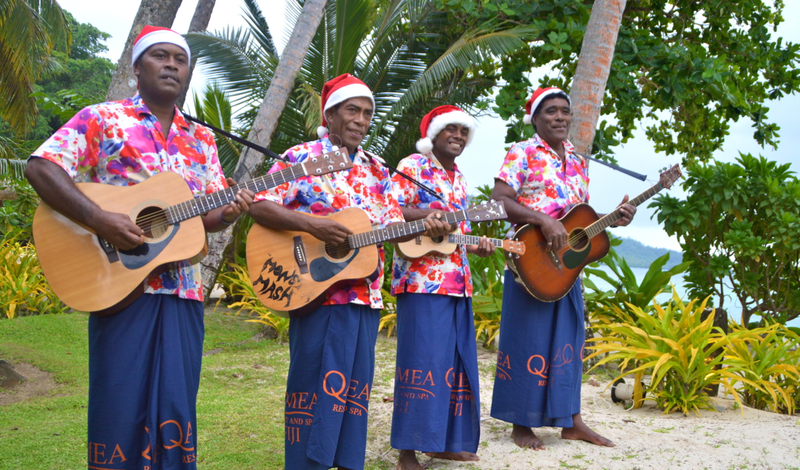 The Christmas spirit lives on at Jean-Michel Cousteau, located in Savusavu. On Christmas Day, children receive beautiful handmade Christmas presents from the JMC team. Fijian Santa pays a visit over a traditional lunch and guests are encouraged to join a Church Carol Service on Christmas Day. Feel the Christmas spirit as children from the local village some to sing Christmas Carols with the guests on Christmas Eve. A traditional Christmas dinner is served on one large table with all guests sitting together. Children staying might even receive a gift from Santa! Soak up the Christmas spirit on the island of Vanua Levu with the beautiful voices of the Waivunia Choir on Christmas Eve. For something a little different, take part in a floral decorating class on Christmas Day using florals from the resort’s own garden. While staying in the lush islands of Taveuni, enjoy Christmas Day with a BBQ feast on the beach and Fijian-Christmas Warriors handing out gifts to guests. The resort welcomes guests to watch the preparation of a traditional Lovo feast. Qamea Resort & Spa, with their 17 adult-only villas, provide a tranquil Christmas escape.